There must be something in the air, because lately I’ve been on real party food appetizer kick. Last weekend I made this creamy crockpot jalapeno popper dip, and now I’m all about these cheesy smashed cauliflower bites. I’m sure you’re aware that everyone and their mother is following (or at least attempting to follow) the keto diet these days. 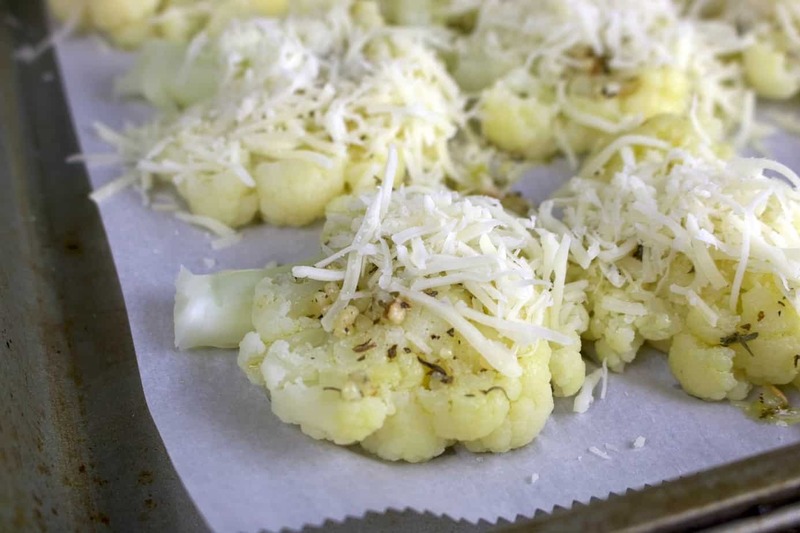 I’m one of the few people I know who isn’t, however, if you’re sticking to a keto diet, you’ll be happy to know that these triple cheese smashed cauliflower bites are low-carb, keto-friendly and downright delicious. 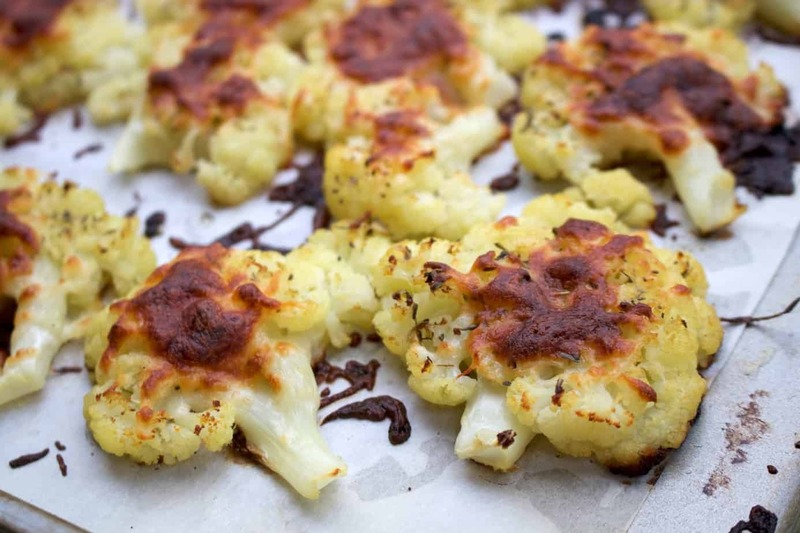 And because I’m part busy-mom, part sometimes-lazy-cook, these cheesy smashed cauliflower bites are super easy to make. They can be served as a side dish for dinner, but they also make a great party food appetizer. 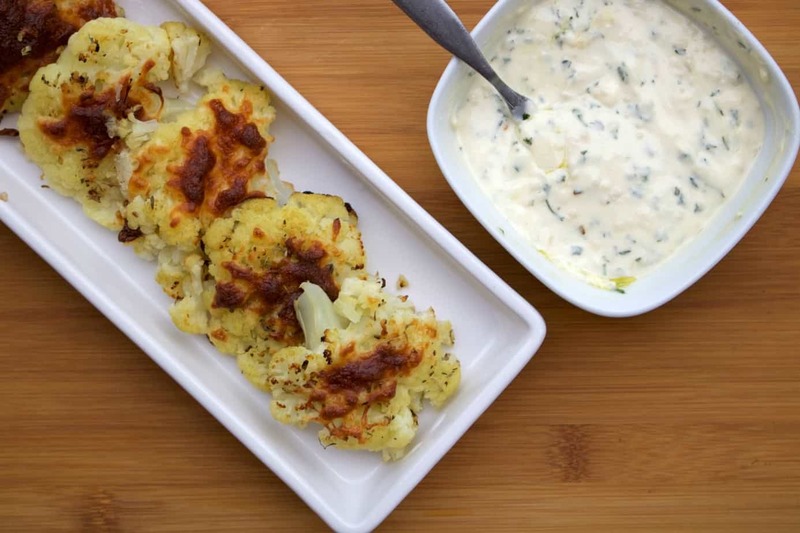 The recipe below uses one head of cauliflower, however you can easily double or triple the recipe depending on how many servings you’d like. 2. Trim the cauliflower with a paring knife to separate into individual florets. 3. In a large pan, add salt and 2 quarts of water. Bring to a boil. 4. 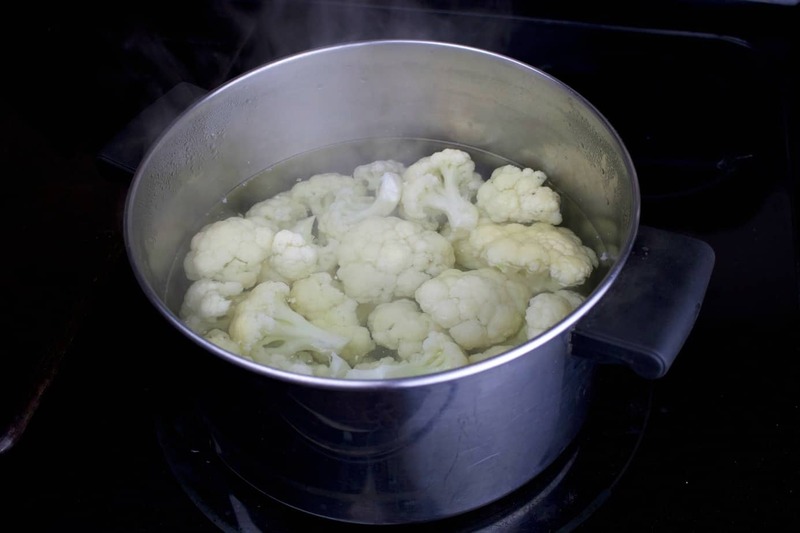 Place the cauliflower into the water and bring the water back to a boil. Reduce heat to medium and simmer for 4 minutes. 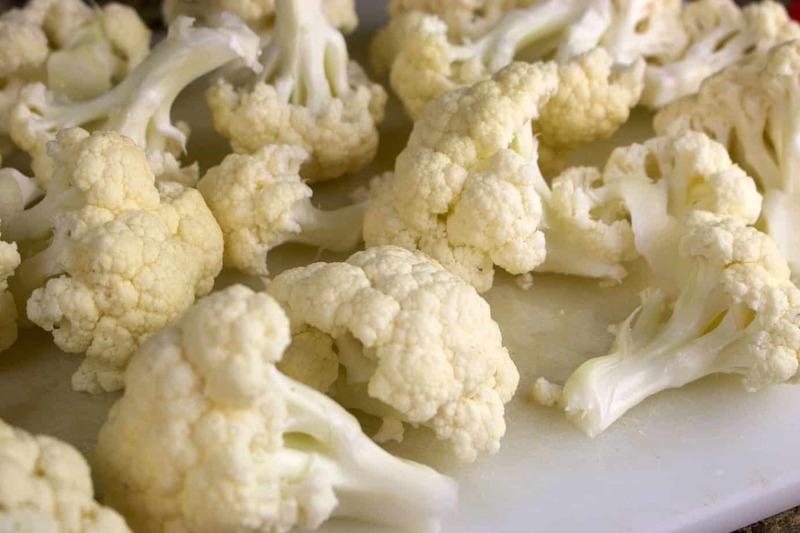 Cauliflower should pierce easily with a knife without being mushy. It won’t be fork tender, so don’t cook it too long. 5. 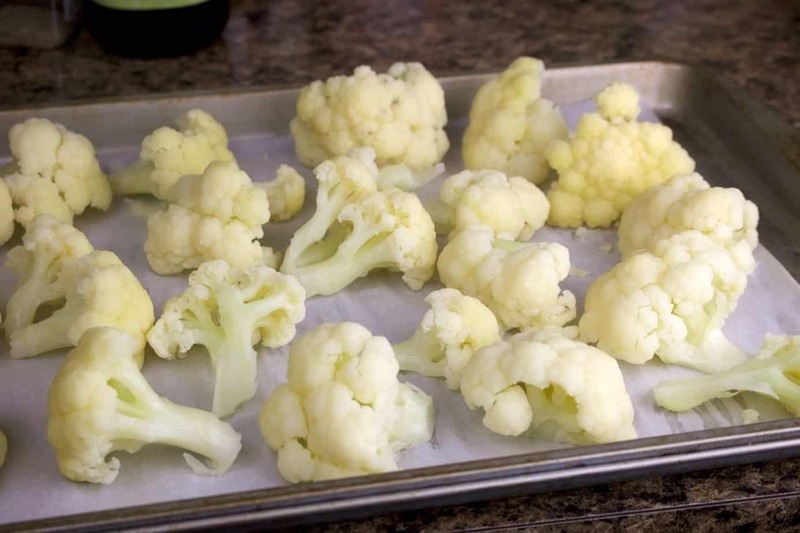 Drain the cauliflower and place individual florets on a baking sheet lined with parchment paper. 6. 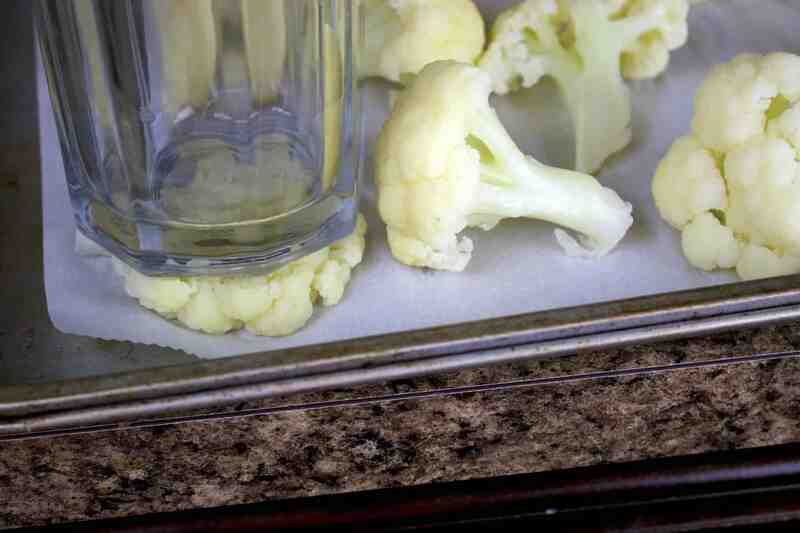 Use the bottom of a coffee mug or heavy glass to press the cauliflower down into flatter bites about 1/2 inch thick. 7. In a small bowl, add the oil, garlic, pepper, basil, thyme, and rosemary. Stir to combine. 8. 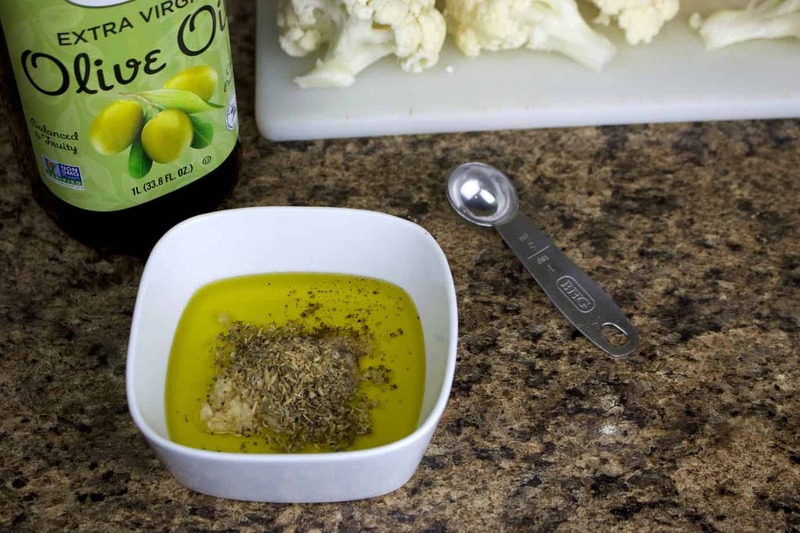 Use a pastry brush, to apply the oil mixture onto the cauliflower. 9. 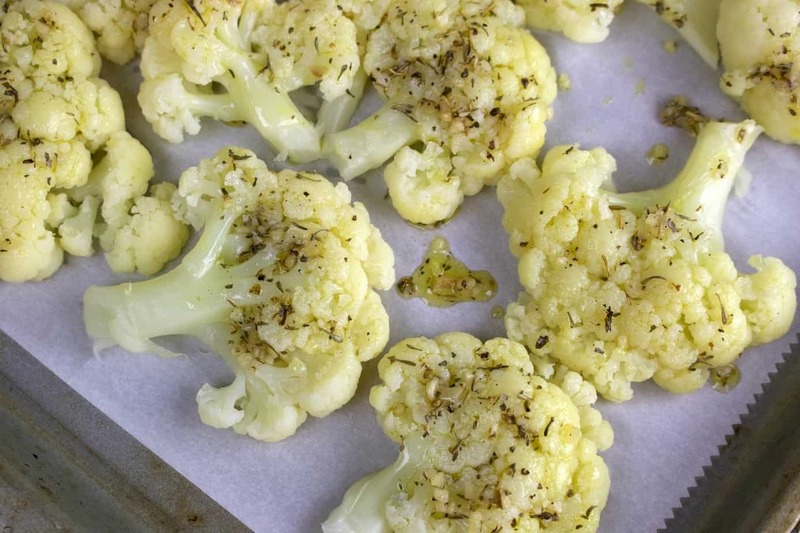 Sprinkle the cauliflower with cheese. 10. Bake at 425 for 15 minutes. Rotate the pan and bake for another 10 – 15 minutes or until cheese is deep golden brown. 11. Serve warm with the dipping sauce.